A recent survey by Public Policy Polling has found that Texans are fed up with marijuana prohibition. The data is clear, a majority of Texans support changing the state’s marijuana laws. It is not a question of if, but when marijuana will become legal in Texas and who will be the leaders of that movement. Twenty-three states have already passed marijuana reforms and two states have legalized recreational use of marijuana. 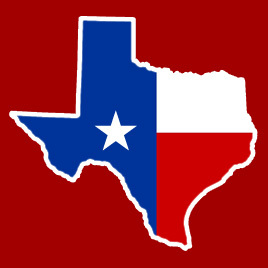 Under current Texas law, it is a criminal offense for a person to possess a small amount of marijuana, and he or she can be sentenced to up to a year in jail, and fined up to $2,000. An astonishing 61% of voters, including 55% of Republicans, support a change in the law to make it a civil, not criminal, offense to possess an ounce or less of marijuana for personal use, punishable by a fine of up to $100, but without jail time. Medical marijuana is also gaining ground in Texas with 50% of Republicans and 67% of Democrats in favor of changing the law in Texas to allow seriously and terminally ill patients to use medical marijuana for a limited number of conditions if their doctors recommend it. The third question related to changing Texas law to regulate and tax marijuana similar to alcohol. Similar to the measures passed in Colorado and Washington, stores would be licensed to sell marijuana to adults 21 and older for recreational use. A majority of 58% of voters voiced support and to the amazement of many, 48% of Texas Republicans are in favor of these changes to Texas law. It is encouraging to see Republicans in Texas rejecting the failed policy of the War on Drugs. Current drug laws are unjust and immoral. Prohibition creates a dangerous black market that fuels many other types of violence. A legal, regulated market for marijuana would make it more difficult for children to access marijuana and provide lawful access for adults who chose a safer recreational alternative to alcohol. The participants in the survey were 52% female to 48% male. Identified voters were made of 42% Republicans, 35% Democrats and 23% Independent/Other. The race of the participants was 26% Hispanic, 60% White, 9% African American and 5% other. Their ages were 15% 18 to 29 years old, 23% 30 to 45 years old, 39% 46 to 65 years old and 23% older than 65 years old. This entry was posted in Uncategorized and tagged decriminalization, legalization, medical marijuana, poll results, public policy polling, texas. Post a comment. I am a Disabled Vet and they have had me on Morphine for the last 6 years about 4 years ago I started using Marijuana for the pain and I have now cut the morphine from 80 mgs. 3 times a day to 30 mgs 2 times a day and if I could get medical marijuana I know that I could get off the Morphine all together. So I feel I should have the God given right to use Marijuana for pain and not a drug that you become addicted very fast on I know what to get off this very strong drug (morphine) and in time it will do more harm then good. I will not let the V.A. cut on my back because I have spoke to 7 other Vet’s that have had the same problem and after they had there backs cut on they are in more pain then before also they eat pain pills like candy! I served my country up to the point when I was hurt on duty not out playing around and I feel I should have the right to treat my body with marijuana and NOT MORPHINE or any other pain pills is there any way some one can help me do this in away that is legal with out leaving Texas I love my state and I do not want to leave I own my home and have 5 grown children with 7 grandchildren.Texas is were my roots are and my whole family lives in Texas! All I want is a way to stop the pain with out killing myself with pain pills like Morphine with out leaving my state. I’ve lived with the immediate & long term effects of Polio since I contracted it at age 18 months. I have severe paralysis of my left leg, which over these past 63 years have caused almost total compression of the L5-S1 region. The pain is incredible. I also developed PPS – Post Polio Syndrome at age 50, whose symptoms are very much like the better known Fibromyalgia; aching, burning pain throughout the muscles & joints. I am depressed much of the time. While I FULLY support decriminalization of Marijuana, I’m begging for the Texas legislature to allow the legitimate proven use of Medical Marijuana. Thank you for allowing me the opportunity to share. Wow! This is very encouraging! These staunch TX conservatives are starting to break! But it obvious, we still have a long way to go. So, let us not despair or be afraid to let her voices be heard. Is it not time to let us decide what we want and need for chronic pain relief. They have taken our opiates we need something that truly helps. It needs to be legal! Now! I am so tired of hurting all the time. Help our efforts by contributing online. Learn how to start a chapter in your state, city or college campus. We need dedicated grassroots Republicans to take a stand. Receive educational material, news and more. Copyright © 2014 RAMP. All Rights Reserved.